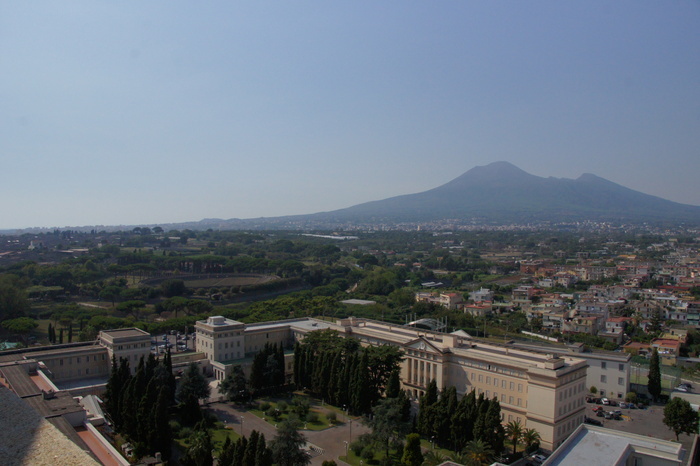 Vesuvius, the amoral perpetratur of the destruction of Pompeii and Herculaneum. 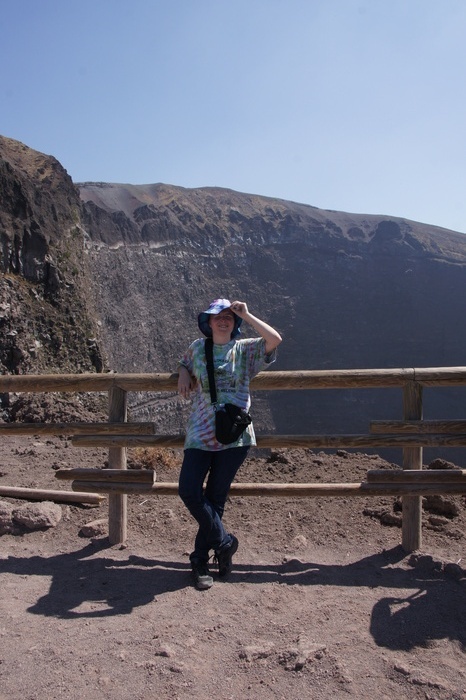 For my birthday, I decided that we would climb to the top and look into the mouth of the volcano. Luckily, there's a bus that goes most of the way up, so this isn't actually hard. 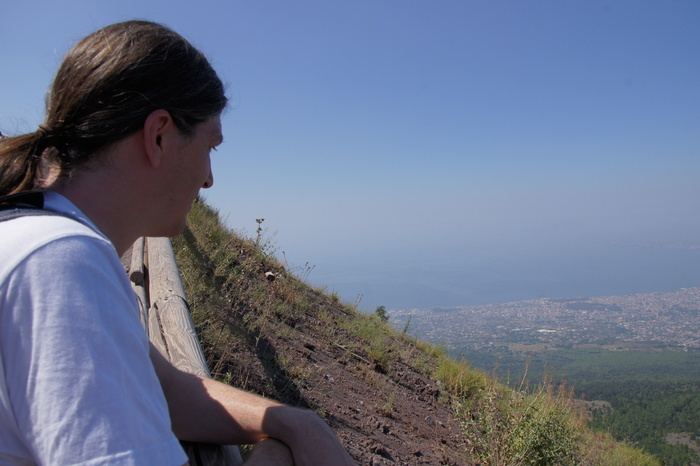 On the way up from the bus stop, looking out over the Tyrrhenian Sea. 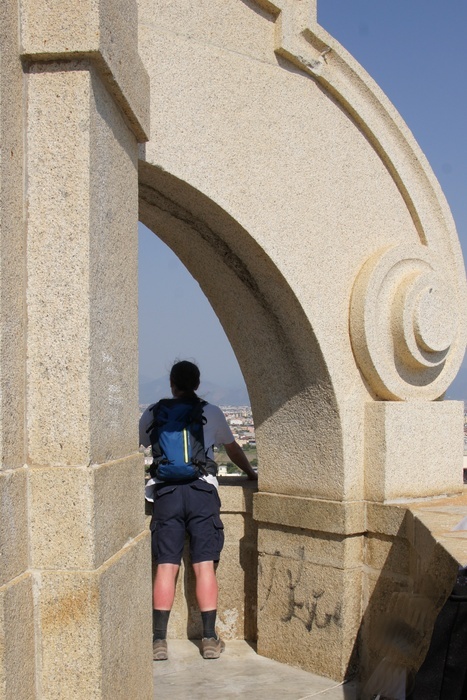 Europe was in the middle of a heat wave, so even though it was only a few hundred meters' walk to the top, we had to stop for a rest. Eric takes his turn at the edge. 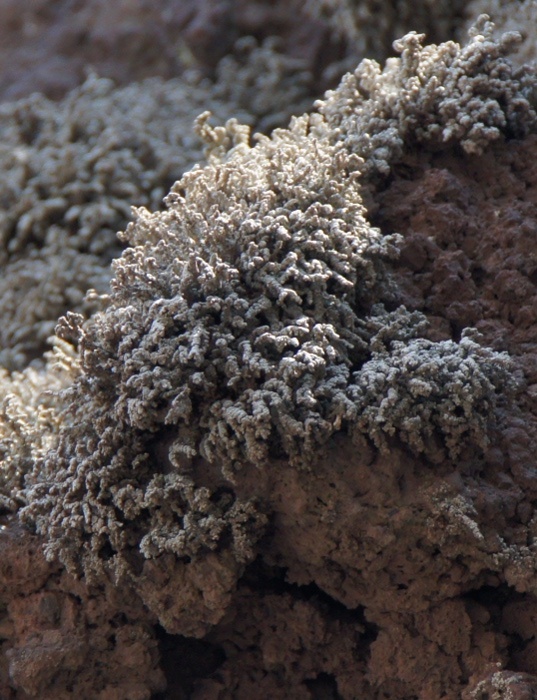 Some sun-baked, dusty moss, or possibly a macrolichen, on the rocks at the summit. 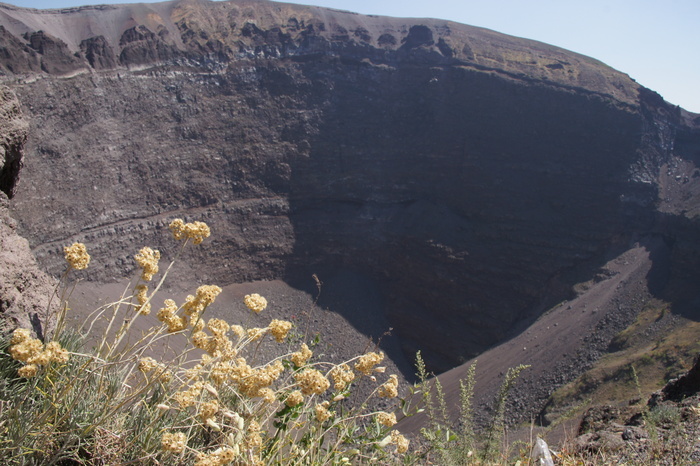 Wildflowers at the edge of the crater. 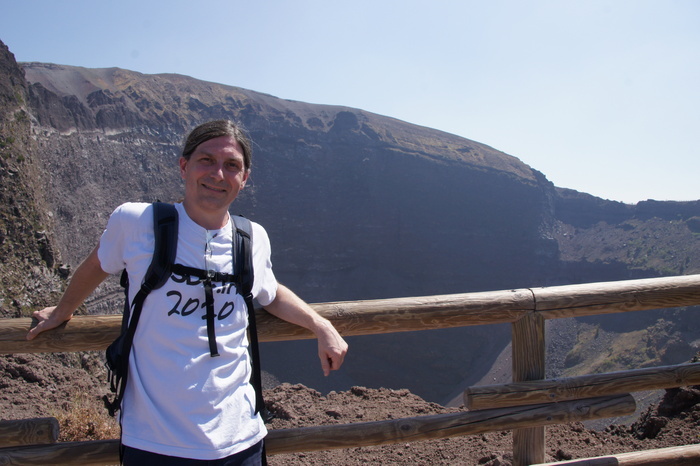 Below, the panoramics looking into the crater, and looking back at the sea. Eric looking out over the city, sporting a sunburn. 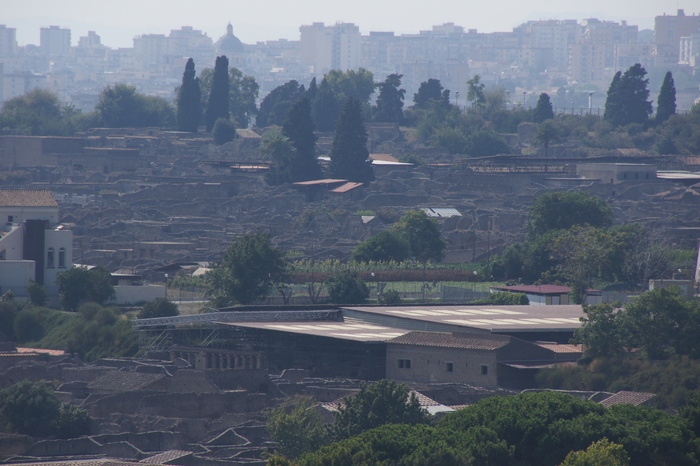 If you look closely, you can see the ruins of ancient Pompeii. 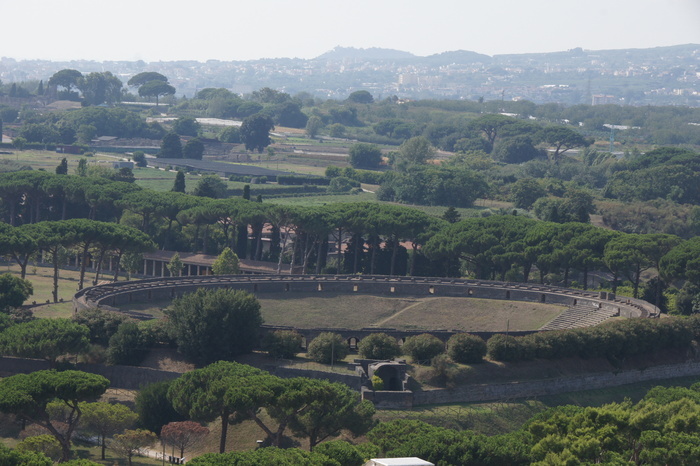 This is the large arena, with the city wall in the foreground. 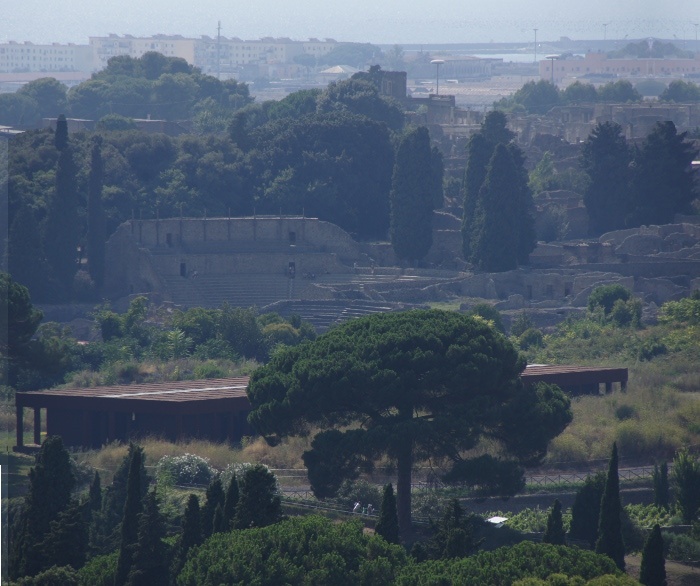 The ruins of ancient Pompeii, with modern Pompei in the background. 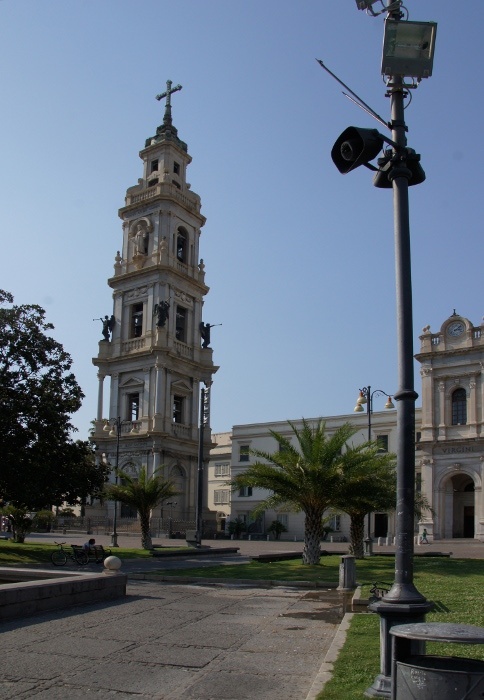 The large theater. I think the modern building in the foreground is the visitor's center. 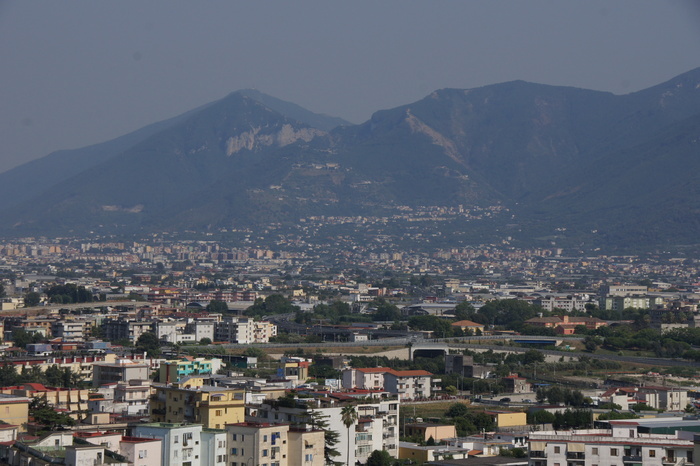 The evening light on the mountains around modern Pompei.